What can be powered by an off-grid system? The same things as if you were connected to the grid, the only limitation is the size of your system. Larger items are far more expensive to run however by contacting us we can explain the costs and potential savings in your individual case very easily with you. Is there a back up facility within the system? Yes, unlike being connected to the grid when you can be completely without power during power cuts, our systems have an automatic by-pass switch. It will automatically switch to your generator should anything untoward happen with your battery bank. Meaning you have access to power at all times. From your initial call to getting the system installed can take as little as 2 weeks. Once we have spoken to you and got a full understanding of your power needs we will send you a full quotation. If you are happy with the quote your goods can be dispatched or installed by our professional team. Will a local electrician be able to install the system easily? Yes, in our pre-configured kit form we supply full documentation and installation diagrams for both domestic and business systems.There is full technical backup via the phone and internet as well. Why not just buy a large generator? The traditional route would be to install a large generator that meets your maximum power requirement, and run the generator whenever you need power. This can be a costly and ineffective way to supply power. 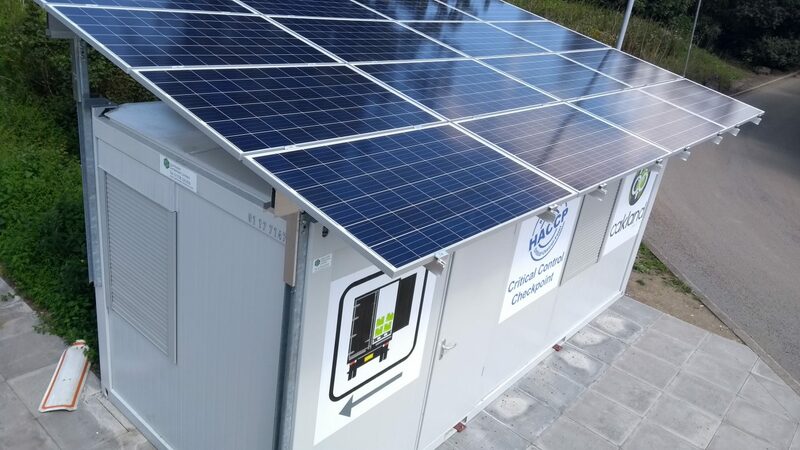 By installing an off grid connect system, you will dramatically reduce the run time of the generator and have the benefits of 24 hr power supply. The generator will run in defined periods, or if the batteries become discharged past a preset level. By programming these run times to coincide with your power usage you can further reduce your fuel usage. The system is fully automatic starting and stopping the generator when required. We can configure these settings into the system before you receive the kit. The generator will run in defined periods, or if the batteries become discharged past a preset level. By programming these run times to coincide with your power usage you can further reduce your fuel usage. The system is fully automatic starting and stopping the generator when required. I already have a generator, how can you help me run it more efficiently? We can build this into a off grid system which is fully customize-able and modular for the future. We are able to significantly reduce your fuel consumption.